 R. Rekik, I. Kallel, J. Casillas, A.M. Alimi. Using multiple criteria decision making approaches to assess the quality of web sites. International Journal of Computer Science and Information Security 14:7 (2016) 747-761. F.J. Marín, J. Casillas, F.J. Martínez-López. MarkiS: a marketing intelligent system software application for causal modeling. 1st Int. Symp. Management Intelligent Systems, Salamanca, Spain (2012). J. Casillas, F.J. Martínez-López, J.M. Corchado (Eds. ), Management Intelligent Systems - First Int. Symposium, Advances in Intelligent Systems and Computing 171 (2012) 165-174. K. Kiliç, J. Casillas. Hybrid genetic-fuzzy system modeling application in innovation management. 1st Int. Symp. Management Intelligent Systems, Salamanca, Spain (2012). J. Casillas, F.J. Martínez-López, J.M. Corchado (Eds. ), Management Intelligent Systems - First International Symposium, Advances in Intelligent Systems and Computing 171 (2012) 25-34. F.J. Marín, J. Casillas, F.J. Martínez-López. MarkiS: a marketing intelligent system software application for causal modeling. [MIEMBRO 0007 J. Casillas], F.J. Martínez-López, J.M. Corchado (Eds. ), Management Intelligent Systems - First International Symposium, Advances in Intelligent Systems and Computing 171 (2012) 165-174. H. M. Kammoun, I. Kallel, J. Casillas, A. M. Alimi. Improvement of the road traffic management by an ant-hierarchical fuzzy system. IEEE Symposium on Computational Intelligence in Vehicles and Transportation Systems, Paris, France (2011). M. González, J. Casillas, C. Morell. Dealing with three uncorrelated criteria by many-objective genetic fuzzy systems. IEEE 5th International Workshop on Genetic and Evolutionary Fuzzy Systems, Paris, France (2011). F.J. Marín, J. Casillas, M. Mucientes, A.A. Transeth, S.A. Fjerdingen, I. Schjølberg. Learning intelligent controllers for path-following skills on snake-like robots. 4th Int. Conf. on Intelligent Robotics and Applications, Aachen, Germany (2011). S. Jeschke. H. Liu, D. Schilbert (Eds. ), Proceedings of the 4th International Conference on Intelligent Robotics and Applications - Part II, LNAI 7102 (2011) 525-535. F.J. Marín, J. Casillas, M. Mucientes, A.A. Transeth, S.A. Fjerdingen, I. Schjølberg. Aprendizaje de controladores difusos para seguimiento de trayectorias en robots multiarticulados. Proceedings of ROBOT 2011, Sevilla, Spain (2011) 397-403. M. González, J. Casillas, C. Morell. SIFT-SS: an advanced steady-state multi-objective genetic fuzzy system. 5th International Conference on Hybrid Artificial Intelligence Systems (HAIS 2010), LNAI 6077, pp. 1-8, 2010. A. Orriols-Puig, F.J. Martínez-López, J. Casillas, N. Lee. A Soft-Computing-based method for automatic discovering of fuzzy rules in databases: uses for academic research and management support in marketing. Global Marketing Conference, Tokyo, Japan. H. M. Kammoun, I. Kallel, A. M. Alimi, J. Casillas. An adaptive vehicle guidance system instigated from ant colony behavior. 2010 IEEE International Conference on Systems, Man and Cybernetics (SMC 2010), Istanbul, Turkey (2010). A.D. Benítez, J. Casillas. Aprendizaje Evolutivo de Sistemas Difusos Jerárquicos en Serie. In Proceedings Congreso Español sobre Metaheurísticas, Algoritmos Evolutivos y Bioinspirados (MAEB09), Málaga (Spain), 255-262, 11-13 February 2009. A. Orriols-Puig, J. Casillas, F.J. Martínez-López. Unsupervised learning of fuzzy association rules for consumer behavior modeling. Mathware & Soft Computing 16:1 (2009) 29-43. A.D. Benítez, J. Casillas. Genetic Learning of Serial Hierarchical Fuzzy Systems for Large-Scale Problems. In Proceedings of the Joint International Fuzzy Systems Association World Congress and the European Society for Fuzzy Logic and Technology Conference (IFSA/EUSFLAT 2009), Lisbon (Portugal), 1751-1756, 20-24 July 2009. J. Casillas. Efficient multi-objective genetic tuning of fuzzy models for large-scale regression problems. IEEE International Conference on Fuzzy Systems (FUZZ-IEEE 2009), pp. 1712-1717. J. Casillas. Embedded genetic learning of highly interpretable fuzzy partitions. Joint 2009 International Fuzzy Systems Association World Congress and 2009 European Society of Fuzzy Logic and Technology Conference (IFSA-EUSFLAT 2009), pp. 1631-1636. J. Casillas, F.J. Martínez-López. KDD in Marketing with genetic fuzzy systems. O. Maimon, L. Rokach (Eds. ), Soft computing for knowledge discovery and data mining, (Springer, Heidelberg, Germany), pp. 225-239. J. Casillas, A.Orriols-Puig and E. Bernadó-Mansilla. Toward Evolving Consistent, Complete, and Compact Fuzzy Rule Sets for Classification Problems. 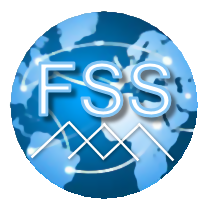 3rd International Workshop on Genetic and Evolving Fuzzy Systems (GEFS 2008) pp. 89-94 Witten-Bommerholz (Germany), March 2008. A. Orriols-Puig, J. Casillas, E. Bernadó-Mansilla. Approximate versus linguistic representation in Fuzzy-UCS. 3rd International Workshop on Hybrid Artificial Intelligence Systems (HAIS 2008), Burgos, Spain (2008). E. Corchado, A. Abraham, W. Pedrycz (Eds. ), Hybrid Artificial Intelligence Systems, Lecture Notes on Computer Science, LNCS 5271 (2008), pp.722-729. A. Orriols-Puig, J. Casillas, E. Bernadó-Mansilla. First approach toward on-line evolution of association rules with learning classifier systems. 11th International Workshop on Learning Classifier Systems (IWLCS 2008) within the Genetic and Evolutionary Computation Conference (GECCO 2008), Atlanta, Georgia, USA (2008), pp. 2031-2038. A. Orriols-Puig, J. Casillas, F.J. Martínez-López. Modelado causal en Marketing mediante aprendizaje no supervisado de reglas de asociación difusas. Proceedings of the XIV Congreso Español sobre Tecnologías y Lógica Fuzzy (ESTYLF'08), Mieres-Langreo, Spain, pp. 529-536, 2008. A.D. Benítez, J. Casillas. Optimización continua mediante la evolución de funciones de densidad de probabilidad con un modelo de dos islas. In Proceedings Congreso Español sobre Metaheurísticas, Algoritmos Evolutivos y Bioinspirados (MAEB07), Tenerife (Spain), 795-802, 14-16 February 2007. L. Sánchez, I. Couso, J. Casillas. Modeling vague data with genetic fuzzy systems under a combination of crisp and imprecise criteria. First IEEE Symposium on Computational Intelligence in Multi-Criteria Decision-Making (MCDM 2007), Honolulu (USA), 30-37, 1-5 April 2007. A. Orriols, J. Casillas, E. Bernadó. Aprendizaje Supervisado de Reglas Difusas mediante un Sistema Clasificador Evolutivo Estilo Michigan. Proceedings of the II Congreso Español de Informática (CEDI 2007). I Jornadas sobre Algoritmos Evolutivos y Metaheurísticas (JAEM'07), Zaragoza (Spain), 171-178, 11-14 September 2007. O. Delgado, J. Casillas. Extracción de Conocimiento Mediante un Algoritmo Genético Multiobjetivo Estilo Pittsburg y Reglas Lingüísticas Tipo DNF. In Proceedings Congreso Español sobre Metaheurísticas, Algoritmos Evolutivos y Bioinspirados (MAEB07), Tenerife (Spain), 509-516, 14-16 February 2007. J. Casillas, P. Martínez. Consistent, complete and compact generation of DNF-type fuzzy rules by a Pittsburgh-style genetic algorithm. Proceedings of the 2007 IEEE International Conference on Fuzzy Systems (FUZZ-IEEE 2007), London (UK), 1745-1750, 23-26 July 2007. A. Orriols-Puig, J. Casillas, E. Bernadó-Mansilla. Fuzzy-UCS: preliminary results. 10th International Workshop on Learning Classifier Systems (IWLCS 2007), 2871-2874. F.J. Martínez-López, J. Casillas. Consumer modeling by multiobjective genetic fuzzy systems: a descriptive rule induction approach. 36th European Marketing Academy Conference (EMAC 2007), Reykjavik, (Iceland), , 22-25 May 2007. J. Casillas, F.J. Martínez-López. Knowledge Discovery by Genetic Fuzzy Systems Applied to Consumer Behavior Modelling. Romanian Marketing Review 3 (2007) 111-142. A.D. Benítez, J. Casillas. 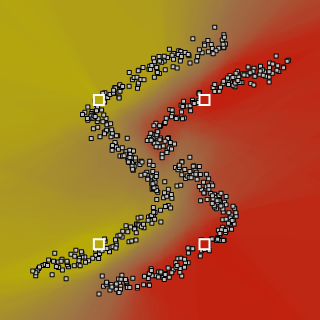 Continuous optimization by evolving probability density functions with a two-island model. 2nd International Conference on Natural Computation (ICNC 2006), Xi'an, China. L. Jiao, L. Wang, X. Gao, J. Liu, F. Wu (Eds. ), Advances in Natural Computation. Part I, Lecture Notes on Computer Science, LNCS 4221, 796-805, September 2006. L. Sánchez, I. Couso, J. Casillas. A multiobjective genetic fuzzysystem with imprecise probability fitness for vague data. Proceedings of the 2nd International Symposium on Evolving Fuzzy Systems (EFS 2006), Lake District (UK), 131-136, September 2006. L. Sánchez, J. Casillas. 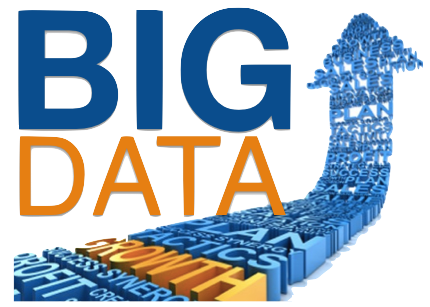 Knowledge extraction from fuzzy data forestimating consumer behavior models. In Proceedings of the IEEE International Conference on Fuzzy Systems (FUZZ-IEEE'06), Vancouver (Canada), 572-578, 16-21 July 2006. J. Casillas, B. Carse, L. Bull. Reinforcement learning by an accuracy-based fuzzy classifier system with real-valued output. Proceedings of the First International Workshop on Genetic Fuzzy Systems (GFS 2005), Granada (Spain), 44-50, 2005. J. Casillas, F.J. Martínez-López. A fuzzy rule-based knowledge discovery method for estimating consumer behaviour. Poster Session, 34th European Marketing Academy Conference Proceedings (EMAC 2005), Milan (Italy), 262, 2005. J. Casillas, O. Delgado, F.J. Martínez-López. Predictive knowledge discovery by multiobjective genetic fuzzy systems for estimating consumer behavior models. Proceedings of the 4th International Conference in Fuzzy Logic and Technology (EUSFLAT 2005), Barcelona, (Spain), 272-278, 2005. M. Mucientes, J. Casillas. Learning fuzzy robot controllers to follow a mobile object. Proceedings of the 2nd International Conference on Machine Intelligence (ACIDCA-ICMI 2005), Tozeur (Tunisa), 566-573, 2005. J. Casillas, A.D. Benítez. 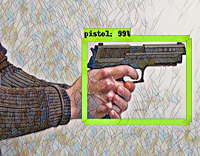 Optimización continua multimodal mediante evolución de funciones de densidad de probabilidad. Proceedings of the II Congreso Mexicano de Computación Evolutiva (COMCEV'05), Aguascalientes (Mexico), 139-144, 2005. J. Casillas, O. Delgado, F.J. Martínez-López. Una metodología de KDD basada en sistemas difusos genéticos multiobjetivo para modelado causal en marketing. Proceedings of the IV Congreso Español sobre Metaheurísticas, Algoritmos Evolutivos y Bioinspirados (MAEB 2005), Granada (Spain), 681-688, 2005. J. Casillas, F. Herrera. Experiencias Docentes sobre la Enseñanza de Metaheurísticas en Ingeniería Informática en la Unioversidad de Granada. In Proceedings del MAEB'04 (Tercer congreso español de Metaheurísticas, Algoritmos Evolutivos y Bioinspirados), Córdoba (Spain), 329-335, 2004. M. Mucientes, J. Casillas. Generación eficiente de un controlador difuso con alta interpretabilidad para navegación de robots móviles. Proceedings of the XII Congreso Español sobre Tecnología y Lógica Fuzzy (ESTYLF 2004), Jaén (Spain), 401-406, 2004. J. Casillas, B. Carse, L. Bull. Fuzzy-XCS: an Accuracy-Based Fuzzy Classiffier System. Proceedings of the XII Congreso Español sobre Tecnología y Lógica Fuzzy (ESTYLF 2004), Jaén (Spain), 369-376, 2004. J. Casillas, O. Cordón, F. Herrera, P. Villar. Aprendizaje híbrido de la base de conocimiento de un sistema basado en reglas difusas mediante algoritmos genéticos y colonias de hormigas. Proceedings of the XII Congreso Español sobre Tecnología y Lógica Fuzzy (ESTYLF 2004), Jaén (Spain), 357-362, 2004. J. Casillas, A. Rodríguez. Evolución de funciones de densidad de probabilidad para optimización continua. In Proceedings del MAEB'04 (Tercer congreso español de Metaheurísticas, Algoritmos Evolutivos y Bioinspirados), Córdoba (Spain), 438-447, 2004. M. Mucientes, J. Casillas. Obtaining a fuzzy controller with high interpretability in mobile robots navigation. IEEE International Conference on Fuzzy Systems (FUZZ-IEEE 2004), Budapest (Hungary), 1637-1642, 2004. J. Casillas, O. Cordón, F. Herrera, P. Villar. A hybrid learning process for the knowledge base of a fuzzy rule-based system. 10th International Conference on Information Processing and Management of Uncertainty in Knowledge-Based Systems (IPMU 2004), Perugia (Italy), 2189-2196, 2004. J. Casillas, F.J. Martínez-López, F.J. Martínez. Fuzzy association rules for estimating consumer behaviour models and their application to explaining trust in Internet shopping. Fuzzy Economic Review IX:2 (2004) 3-26. J. Casillas, O. Cordón, F. Herrera, L. Magdalena. Interpretability improvements to find the balance interpretability-accuracy in fuzzy modeling: an overview. In [MIEMBRO 0007 J. Casillas], [MIEMBRO 0009 O. Cordón], [MIEMBRO 0001 F. Herrera], L. Magdalena (Eds.). Interpretability issues in fuzzy modeling, Studies in Fuzziness and Soft Computing, Springer, Heidelberg, Germany, 2003, 3-22. ISBN 3-540-02932-X. J. Casillas, O. Cordón, F. Herrera, L. Magdalena. Accuracy improvements to find the balance interpretability-accuracy in linguistic fuzzy modeling: an overview. In J. Casillas, O. Cordón, F. Herrera, L. Magdalena (Eds.). Accuracy Improvements in Linguistic Fuzzy Modeling, Studies in Fuzziness and Soft Computing, Springer-Verlag, Heidelberg, Germany, 2003, 3-24. ISBN 3-540-02933-8. J. Casillas, O. Cordón, F. Herrera. 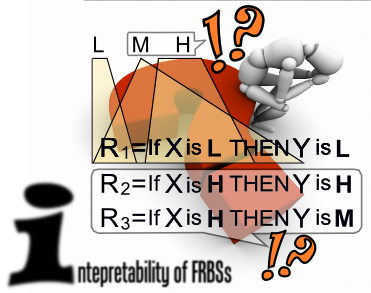 COR methodology: a simple way to obtain linguistic fuzzy models with good interpretability and accuracy. In J. Casillas, O. Cordón, F. Herrera, L. Magdalena (Eds.). Accuracy improvements in linguistic fuzzy modeling, Studies in Fuzziness and Soft Computing, Springer, Heidelberg, Germany, 2003, 27-45. ISBN 3-540-02933-8. J. Casillas, F.J. Martínez, F.J. Martínez-López. A Proposal for Estimating Consumer Behaviour Models Based on Fuzzy Association Rules. Proceedings SIGEF 2003, 279-298, 2003. J. Casillas, O. Cordón, F. Herrera. Different Approaches to Induce Cooperation in Fuzzy Linguistic Models Under the COR Methodology. B. Bouchon-Meunier, J. Gutierrez-Rios, L. Magdalena, R.R. Yager (Eds. ), Technologies for Constructing Intelligent Systems 1: Tasks (Physica-Verlag, 2002), 321-334. J. Casillas, O. Cordón, F. Herrera, J.J. Merelo. Cooperative coevolution for learning fuzzy rule-based systems. Proc. of the 5th International Conference on Artificial Evolution (EA'01), Le Creusot, France (2001) 97-108. Also in P. Collet, C. Fonlupt, J.-K. Hao, E. Lutton, M. Schoenauer (Eds. ), Artificial Evolution, Lecture Notes on C. S., LNCS 2310 311, 2002. J. Casillas, O. Cordón, M.J. Del Jesus, F. Herrera. Genetic tuning of fuzzy rule-based systems integrating linguistic hedges. Proceedings of the 9th IFSA World Congress and 20th NAFIPS International Conference, Vancouver (Canada), 1570-1574, 2001. J. Casillas, O. Cordón, F. Herrera. A cooperative coevolutionary algorithm for jointly learning fuzzy rule bases and membership functions. Proceedings of the International Conference in Fuzzy Logic and Technology (EUSFLAT 2001), Leicester (UK), 118-121, 2001. J. Casillas, O. Cordón, F. Herrera, J.J. Merelo. Cooperative Coevolution for Learning Fuzzy Rule-Based Systems. Artificial Evolution, P. Collet, C. Fonlupt, J-K. Hao, E. Lutton, M. Schoenauer (Eds. ), Lecture Notes in Computer Science 2310, Springer-Verlag, 2002, 311-322. (Selected Papers of the 5th Intl. Conf. EA2001, Lecreusot, France, Oct. 2001). J. Casillas, O. Cordón, F. Herrera. Learning Fuzzy Rule-Based Systems Using Ant Colony Optimization Algorithms. Proc. of ANTS'2000. From Ant Colonies to Artificial Ants: Second Interantional Workshop on Ant Algorithms, Brussels (Belgium), September 7-9, 13-21, 2000. J. Casillas, O. Cordón, F. Herrera. Generacion de Reglas Difusas con Buen Nivel de Cooperacion Mediante ALgoritmos de Hormigas. X Congreso Español sobre Tecnologías y Lógica Fuzzy (ESTYLF'2000). Sevilla (Spain), 291-296, Septiembre 2000. J. Casillas, O. Cordón, F. Herrera. Improving the Wang and Mendel's Fuzzy Rule Learning Method by Inducing Cooperation Among Rules. Eighth International Conference on Information Processing and Management of Uncertainty in Knowledge-Bases Systems. IPMU'2000. Madrid (Spain), Vol. III, 1682-1688, 2000. J. Casillas, O. Cordón, F. Herrera. Generación de reglas difusas con buen nivel de cooperación mediante algoritmos de hormigas. Proceedings of the X Congreso Español sobre Tecnología y Lógica Fuzzy (ESTYLF 2000), Sevilla (Spain), 291-296, 2000.